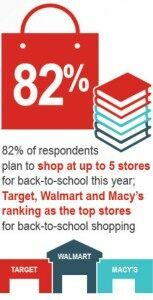 Most shoppers are eschewing online retailers for their back-to-school needs. Just 19 percent said they would buy supplies at online retailers and about one-quarter said they would buy clothes online. Categories: Americas Retail and tagged back-to-school, Brick and mortar, Internet, JLL, Online, retail, school, Shopping. The proclivity for low prices doesn’t exactly mean that shoppers will be tightening their purse strings this year. While most shoppers will once again spend less than $500 on back-to-school items this year, the share of shoppers spending between $100-$500 rose year-over-year from 63 percent in 2015 to 75 percent this year. Categories: Americas Retail and tagged back-to-school, JLL, retail, school, Shopping. Categories: Agency Leasing, Americas Retail, Retailers, Tenant Representation and tagged back-to-school, Holly Rome, JLL, Karen Raquet, retail. 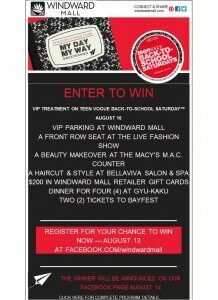 Categories: Americas Retail, Malls and tagged back-to-school, JLL, Jones Lang, julie rickey, retail, teen vogue.